In our continuing effort to be better stewards of the environment, we developed the VaporGuard XL-R. The "XL" means this canister has twice the capacity of the current VaporGuard canister; it will hold 100g of agent vs. the current 50g. 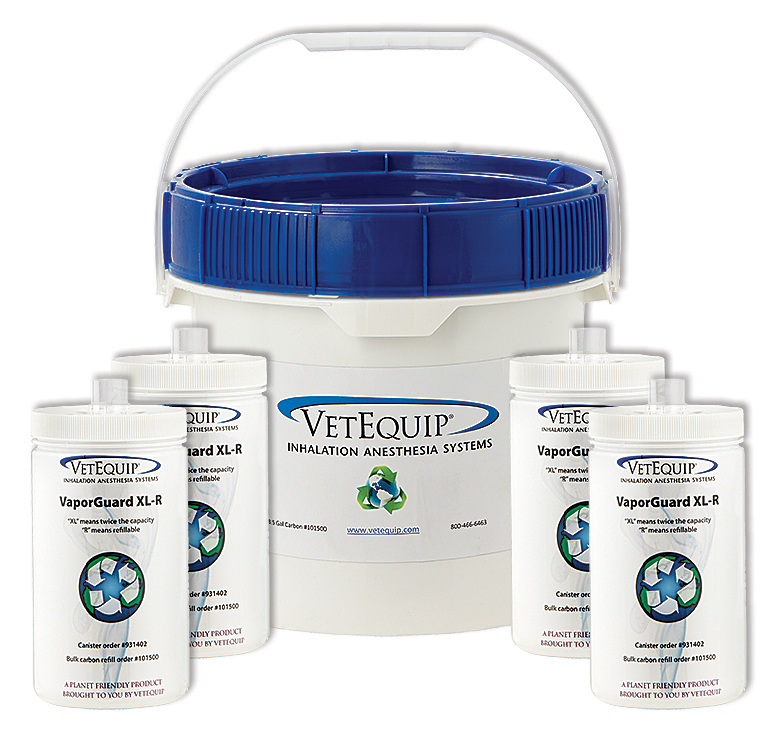 The "R" designation means refillable/reusable, designed to be filled with bulk carbon you can acquire from VetEquip.